With “spoopy” season coming to a close, we’re quickly approaching the greatest time of year for rishtay wali aunties, or match-making aunties: cuffing season. If you’re a woman in your twenties, this might be year round for y’all. You’ll get stopped at random dinner parties and questioned about your life plans by aunties you’ve never met. Your dad might come home from jummah, saying he just ran into some dude you went to elementary school with, who’s an engineer now at a tech start-up. Your grandmother will ask (lacking any kind of subtlety) when you’ll be getting married. And maybe you’re open to the idea, or having some serious FOMO sifting through engagement announcements on your Facebook homepage. Maybe it’s a mix of PMS, and baby fever. Or maybe the pieces have actually (alhumdulillah) come together, and you feel ready to get married. Whatever the reason, you’ve started to consider your options. You’re out of school now, and hadn’t really liked anyone in the MSA. What are your options? You scour the web pages of your local masjid for upcoming events. There’s that woman in the community who knows the scoop on almost everybody. And then there are dating apps. So I, and our Social Media Editor Hadeel, endured the awkward cluster of Muslim dating profiles so you don’t have to (you’re very welcome). Here’s what happened. Hadeel will be like an interjecting ghost throughout this article. She just wants somewhere to vent. As I’ve gotten older, my relationship with marriage has been quite tumultuous. Too often, it feels like a chore, an item to check off on society’s list of expectations. I was raised thinking that I would graduate college at 22, begin working, and get married soon after. At twenty-five, I’ve learned that that proposed timeline is often unrealistic. There are outliers of course, exceptions to the rule, but for many women, it might take a little more time. The months, or years after, however, can be difficult on our self-image, making us wonder if there was something we had done wrong for not having the fairytale at twenty-three, fueled by the comments made to us by other women we know. There are comparisons made between us, unsolicited advice offered, suggestions to reconsider men you had turned down for legitimate reasons. The culture around marriage within South Asian Muslim communities can often breed toxicity—something I’ve had the unique opportunity to witness first-hand. You see, my mother is our local rishtay wali auntie; she is the person people turn to when trying to get their children hitched. Her email is cluttered with folders full of information on eligible men and women provided by their concerned parents. They’ll call and offer the basics: name, age, occupation, a promise to send their kids’ photos within the hour. Their voices are always rushed, worn down with worry because their child is on the brink of, or has already aged out of the post-grad timeline I had mentioned earlier. Depending on the parent, they might also list their requirements; these will vary from “must come from a good family” to “doctor”, and “fair skin, skinny”. Having to endure these conversations second hand, it’s not surprising that I would be skeptical of the process, seeking out other avenues that could be used to get married. A live look at my mom during her standout performance in Mulan (1998). Admittedly, I was embarrassed to try marriage apps. I’d heard the shaadi.com jokes, the Tinder horror stories. But I liked the possibility of agency, of cutting out the middleman and forging a connection with someone for real. And then there were the insecurities—what if I stumbled across someone I knew? What if, even after widening the pool of potential suitors, no one liked me? Statistics will tell you that that’s unlikely—there are literally hundreds, if not thousands, of users on each of these applications—but I was concerned. The flip-side of having full control in this situation was that you also assumed 100% of the responsibility if things didn’t pan out. Hesitantly, I downloaded a few of the most popular apps around: Muzmatch, Minder, and Single Muslim. I tried to keep my information and photos consistent across these platforms, as a control group in this social experiment. A medium length bio of my interests, a few (heavily) filtered photos, and the tagline “seeking future Instagram husband” rounded out my profile. The apps had some commonalities between them during this process. They would ask some of the same questions; some were expected (name, age, occupation), and others were more surprising. My set-up process wasn’t as in-depth. I only worked with Muzmatch and Minder. While it took me a moment to get over the internalized weirdness that I held around Muslim dating apps (in other words, the cringe), that quickly melted away as I justified it with “It’s for an article,” and went on my merry downloading way. Like many of you, my curiosity was intense. Also, I really wanted a Valentine this year (spoiler alert: I’m single and chocolate-less AGAIN, but it’s fine and I’m totally not upset about it). I don’t have screenshots of my profile (mainly due to the aforementioned cringe), but I can tell you that it had some references to Karl Marx being my MCM, and my love for Soulja Boy. There was a very niche demographic that I was trying to attract—men who like socialism and…Soulja Boy. Muzmatch and Minder had fairly standard categories for the most part. 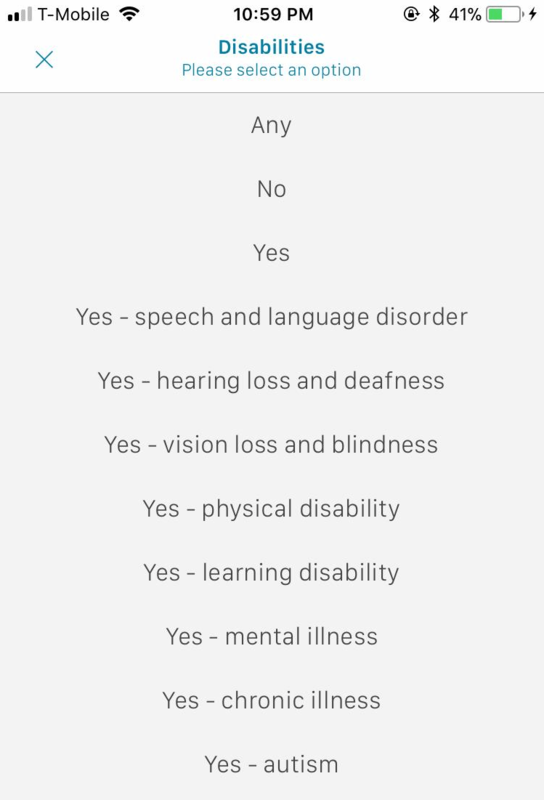 Single Muslim, however, took these questions a step further, going as far as asking your citizenship status, salary, who you live with, hair and eye color, your beard preferences (yes, you read that correctly), and allowed you to list any disabilities you might have. 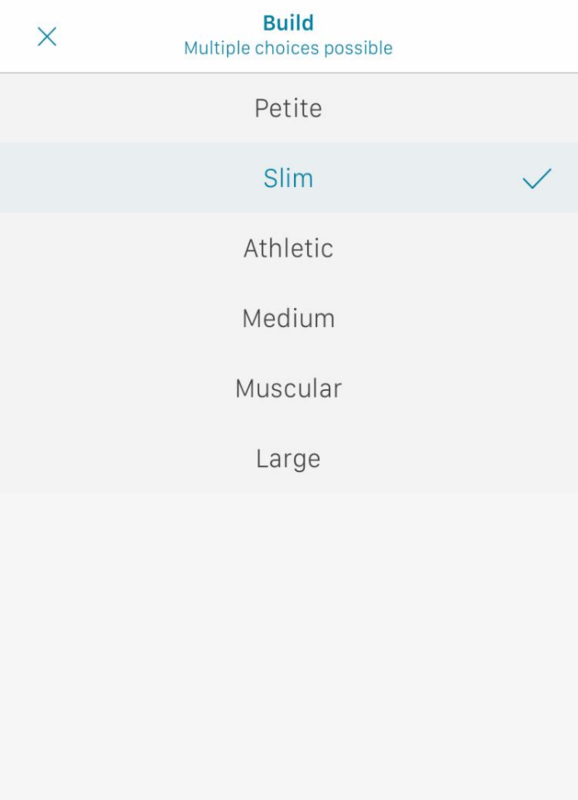 Not only were these details used to complete your profile, but it also gave users the option to search by each and any combination of these traits. Out of curiosity, I tried testing this out by filtering profiles by different categories. U.S. citizen and muscular, blonde and blue eyes, architects with learning disabilities. As a user, this feature concerned me. Sure, if you have particular requirements, it may save you some time. You can check off each of your requests, and flip through the profiles that fit exactly what you’re looking for. But, for me, it felt exclusionary, perpetuating the same culture that I was trying to run from. That isn’t to say that you shouldn’t have ideals for your future spouse because, too often, young women are taught to settle, or raised to believe that we’re asking for too much, that “purey packages nahi milthay” (translation: the full package is unattainable). But this felt different. After a day of reviewing profiles, I had decided that Single Muslim might not be my cup of chai, and moved on. Hi, me again. I didn’t use Single Muslim. Why? Because I didn’t want to. Thanks for reading. So that left me with Minder and Muzmatch. Both of these apps would let you list whether or not you smoked, consumed alcohol, or ate halal foods only. There were also religiosity meters that would allow you to gauge how practicing another user might be, if that was something that mattered to you. It’s definitely a mixed bag. I have swiped left on guys looking for their “swolemate,” have sent screenshots to my sisters of a dude complaining about how he felt “tricked” by attractive women who couldn’t cook. Unmatched someone who used the Prophet (SAW) and his wives as an example when trying to convince me that we could work despite the large age difference. I’ve matched with someone (read: multiple someones) where the user immediately unmatched seconds after I’d received the notification (uh??). I’ve liked profiles where I knew the person because I wanted to see if they’d swiped right too (they had, and we haven’t spoken since) and have stumbled across others where I knew them, and didn’t want to know how they felt about me. Okay, how do I put this? How do I articulate through written word what Muzmatch and Minder were like for me? As you may recall, my profile was pretty general. Some sprinkles of socialism, a nod to my king (Soulja Boy), a few of my cutest and most poorly-lit selfies, an indication of moderate religiosity, and a splash of mystery (just kidding, I filled out every single forum that they asked me to). Who did I think I would attract? I don’t know, men with a sense of humor, communists, guys with mommy issues, etc. And who, you may ask, did I really attract? An ICE officer, a married man with an entire family, a middle-aged white guy who sent me a list of reasons as to why I met his standards — one of those standards was that he thought I was “babely” (barf). Also, for the purposes of my anxiety, I had my location preferences set to the furthest possible setting, and so the majority of my matches were American. Let’s start with the ICE officer. We’ll call him Ali (which might actually be his name, I’m not sure, I matched with a lot of Alis). I met him on Minder, about three days into my swiping adventure — which is entirely too long if you value your mental health, by the way. He was cute, 6’2, didn’t have any clichés in his bio, and looked like a generally okay person. Please note that three days on Minder changes something about your standards in a dark way, and at this point, I was swiping right on anyone that didn’t have “save me from marrying my cousin” as their greeting. Anyway, I swiped right, we matched, he messaged me first. Polite conversation ensued. I asked what he did for work after he mentioned how tired he was, and then he said it: “I’m an ICE officer.” I’ve never said “yikes” more times than I did in the moments that followed. His justification was that “The media makes it seem a lot worse than it is” and “We only deport criminals.” He also made some jokes about deporting me back to Canada if I ever visited the States. Goodbye, ghosted, unmatched. The married man — I know you guys want the tea, and I’m about to spill it everywhere — let’s call him Ali #2 (although he deserves to have his identity exposed and I’m still debating messaging his wife, but I’ll be nice for now). He wore a suit in all of his photos, had a beautiful smile, his profile smelled of money; swipe right. An hour later, we match, and he hits me up with a quote from the Communist Manifesto. We spent the next couple of days debating about the perils of capitalism and I was into the change of pace from “So where do you want to travel to?” Then he asked me for my number. 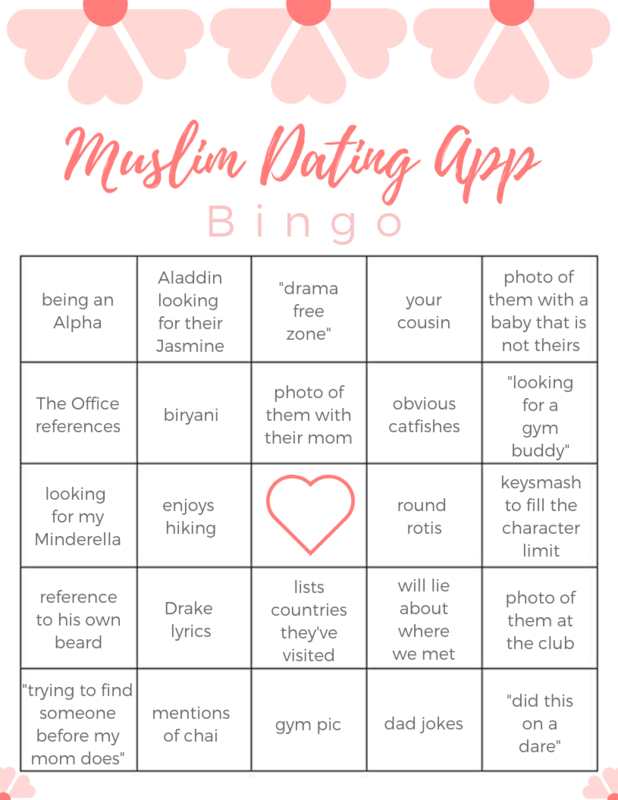 I honestly (honestly) was on the app for a story, and made it a rule not to move any conversations to iMessage (or, Allah forbid, green-bubble text messages), but I was curious and really wanted a halalentine. So I told him that I would take his number and might text him —might being the operative word. Long story short, I googled his number, and it was a match to his name. I searched his name and number on Facebook, his profile popped up, and I started stalking. He was definitely older than he looked on the app, and I started to catch some creepy uncle vibes. And then, a photo of his wife. The next photo, his three children. I was shik shak shook. The more I dug, the more I discovered. I unmatched and blocked him after collecting a plethora of screenshots (Ali #2, if you’re reading this, capitalism will fall and your wife is way too hot for you). I won’t waste your time with the middle-aged white guy. I also just ate some cereal that I want to keep down. I will, however, tell you about the man that I ghosted who is still trying to contact me to this day, Ali #3. He was pretty boring, but I kept up a conversation to be polite (learn from my mistakes, ladies). I messaged him casually throughout this endeavor, mainly because I get a spike of anxiety whenever I don’t reply to a message. I was nice, but not flirty, and quite frankly shouldn’t have to explain myself. When I was all swiped-out, I deleted my account and the apps. Should I have messaged him to let him know what was going on? No, because I literally did not, and do not, owe him or any other man on these apps anything. There is this claim-culture that a lot of men on these apps carry, which follows the narrative that if you match, there is an unspoken deal that has been struck and they begin to lay expectations down on the simplest of interactions. It’s gross and unsettling, and rooted in patriarchy but we don’t need to get into that. After I had deleted my account, he added me on Facebook. Scary, because my privacy settings are intense, but not insane because I’m pretty easy to track down on the internet. Then he messaged me. Then he messaged me again. Then he deleted his initial friend request and re-sent it. He did the same on Snapchat. Ali #3, sir, please. I’m not interested and even if I was, this would have turned me all the way off. There are so many fish in the sea, but I am a human girl and do not enjoy being hunted. Please tone it all the way down before interacting with other potential haram baes. Don’t get me wrong — I met some really interesting (and normal) people on the apps. Among the toxicity and cringe, there were a few diamonds in the rough. Just like we generally tend to hear more about the success stories of these dating apps, it’s important to acknowledge the other side of things. Will you match with an ICE officer and a man with a whole family if you download Minder or Muzmatch? Maybe, or maybe I’m not a great judge of character. Will you meet your soulmate? Maybe! Do you, swipe with care, and if you catch a vibe from someone: unmatch without hesitation. I’ve learned that despite wanting agency in this process, I still struggle to initiate conversation, or find it awkward and surface level when we actually get to talking. We’ll cover the basics — work, weather, how I’ve seen maybe two episodes of Parks and Rec — but for anything more, you’ll need to put in the extra effort. You’re both probably busy, or he could be new to the platform. Maybe you’re in different time zones, and finding the time to respond and actively communicate to develop that relationship can be harder than expected. It can be difficult to feel engaged when that initial spark seems lacking. Sometimes, this can be salvaged once you’ve both gotten over the usual nerves and awkwardness. Other times, it’s just not there. Like meeting any stranger for the first time, there’s a dozen different ways each conversation can go, but it might be worth it to make a profile. You could meet your “Aladdin,” or swipe through a few frogs before finding your Instagram husband.